Provide comfort for the family of Calvin Snyder with a meaningful gesture of sympathy. 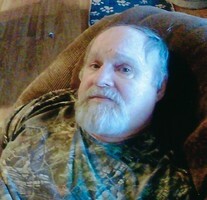 ALEXANDRIA: Calvin Douglas “Doug” Snyder, 70 of Alexandria died Saturday, Mar. 9, 2019 in the VA Regional Medical Center, Ft. Wayne after a brief illness. Doug was born on Aug. 10, 1948 in Ronceverte, W. VA. and was the son of Manual and Daisy (Morgan) Snyder, Sr. On July 14, 1973 he married Karen (Hover) Snyder. He was retired as a machine operator from Marion General Cable Co.
Doug proudly served his country during the Vietnam War serving with the United States Army. He was a member of Alexander Bright Post 87 of the American Legion. Left to carry on his legacy of love is his wife, Karen (Hover) Snyder, his children, Kristy Willhite and Shawn (Alina) Snyder, his grandchildren, Tyler and Trenton Willhite, Kaylee, Kiersten, and Tanner Snyder. Also surviving are two brothers, Delmar (Pam) Snyder and Greg Snyder; His sisters, Rose (Morris) Mottweiler, Vina Bitterman, Mary Swango, Karen Patrick, Jewel Damn, Millie Krebs and Sarah Snyder and sister-in-law, Linda Lewis. He was preceded in death by his parents, and two brothers, Manual (Sonny) Snyder, Jr. and Benny Snyder. Funeral services for Doug will be Wednesday, Mar. 13, 2019 at 1:00 p.m. in Whetsel Funeral Service with Rev. Pat Robbins officiating. Burial will follow in Jones Cemetery, Yorktown. Friends are invited to call at the funeral home on Wednesday from 11:00 a.m. to 1:00 p.m. In lieu of flowers, the family requests memorials are sent the Wounded Warriors Project, P.O. Box 758517, Topeka, KS 66675-8517 or in care of the funeral home. Whetsel Funeral Service is honored to celebrate Doug’s life with his family and friends. To send flowers in memory of Calvin Douglas "Doug" Snyder, please visit our Heartfelt Sympathies Store.